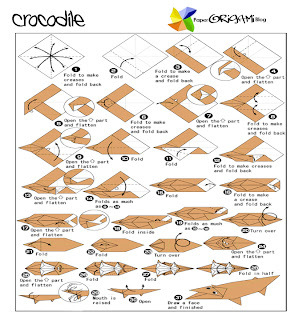 Animals Origami: Crocodile A crocodile is any species belonging to the family Crocodylidae (sometimes classified instead as the subfamily Crocodylinae). 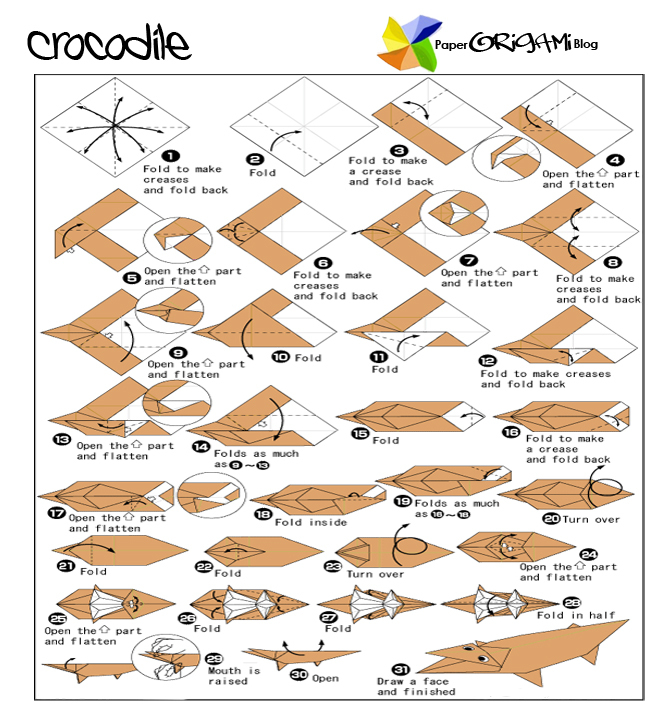 The term can also be used more loosely to include all extant members of the order Crocodilia: i.e. the true crocodiles, the alligators and caimans (family Alligatoridae) and the gharials (family Gavialidae), as well as the Crocodylomorpha which includes prehistoric crocodile relatives and ancestors. Member species of the family Crocodylidae are large aquatic reptiles that live throughout the tropics in Africa, Asia, the Americas and Australia. 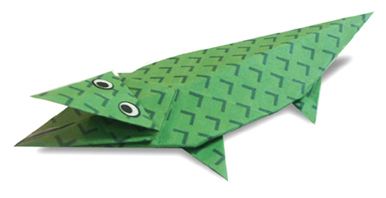 Crocodiles tend to congregate in freshwater habitats like rivers, lakes, wetlands and sometimes in brackish water. They feed mostly on vertebrates like fish, reptiles, and mammals, sometimes on invertebrates like molluscs and crustaceans, depending on species. They first appeared during the Eocene epoch, about 55 million years ago.